Established in 1978, The Kennedy Center Opera House Orchestra is the resident orchestra of the beautiful Opera House of the John F. Kennedy Center for the Performing Arts in Washington DC. It is the only orchestra in the country dedicated solely to the performance of three musical genres: opera, ballet and musical theater. The KCOHO performs in the many theaters of the Kennedy Center, providing accompaniment for the Washington National Opera, and the many ballet companies presented by the Kennedy Center. These include American Ballet Theatre, Royal Ballet, the Mariinsky Theater, Bolshoi Ballet, New York City Ballet, Paris Opera Ballet, Ballet Cuba, and many others, as well as the Suzanne Farrell Ballet during its 16-year residency at the Center. The KCOHO also performs for musical theater and many special events throughout the season. We have been honored to collaborate with many of the greatest dancers and singers of our time including Suzanne Farrell, Mikhail Baryshnikov, Rudolf Nureyev, Margot Fonteyn, Julie Kent, Misty Copeland, Plácido Domingo, Mirella Freni, Samuel Ramey, Renee Fleming, Anna Netrebko, Denyce Graves, Angela Gheorghiu, Bryn Terfel, Eric Owens, José Carreras and many more. 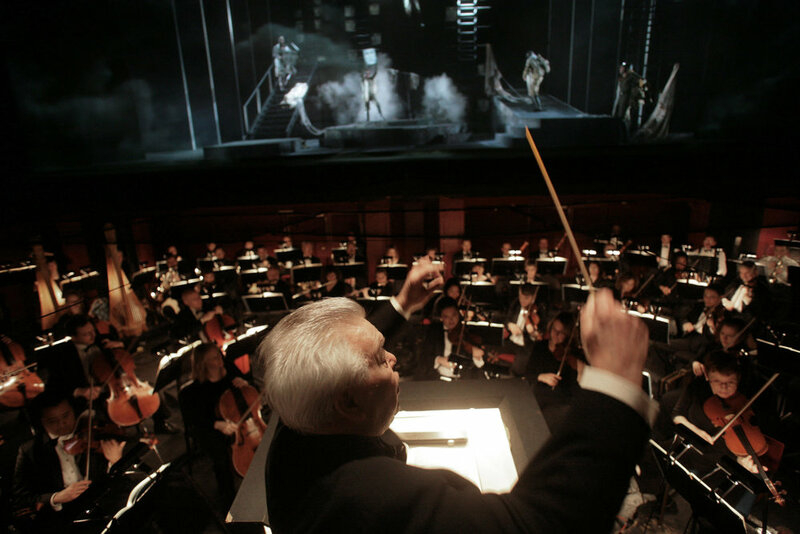 The orchestra has performed with many of the world's leading conductors, among them Daniel Barenboim, Valery Gergiev, Jiri Belohlavek, Leonard Slatkin, André Previn, Julius Rudel, Richard Hickox, and has flourished under the guidance of music directors John Mauceri, Heinz Fricke and Philippe Auguin. The KCOHO serves as the house orchestra for Broadway touring productions, and has performed for pre-Broadway premiers of Steve Martin and Edie Brickell’s Bright Star, Annie and Annie II, and 42nd Street, and genre bending original productions like Little Dancer. We were honored to participate in the Sondheim Celebration, which featured fully staged revivals of 6 of his iconic works, complete with full orchestras. Every December the orchestra performs for the Kennedy Center Honors, the Emmy winning awards show broadcast on CBS. The KCOHO also appeared on the PBS Great Performances: Dance in America live telecast of Swan Lake with American Ballet Theater, in a televised world premiere of Gian Carlo Menotti's Goya, starring Plácido Domingo, as well as telecast performances of Pagliacci and Le Cid, and our performances with the Washington National Opera have been heard on numerous NPR national broadcasts. The 63 full time musicians on our roster are selected through rigorous international auditions, and hail from 11 different countries, and 22 US states. Many also enrich our communities through outreach and performances at area public schools, with free concerts in their neighborhoods, and regular chamber music performances at Miriam's Kitchen, a DC organization that advocates for the homeless. Committed to educating the musicians of tomorrow, our members are on the faculties of local music schools and universities including Georgetown University, the University of Maryland, Howard University, George Washington University, George Mason University, the Levine School of Music and many more. Among our membership you will find a math major from Princeton, an art history major from Harvard, a statistics major from UC Berkley, a hornist who spends her free time on a flying trapeze, a competitive archer who is a 3 time state champion and record holder, a skilled carpenter and building contractor, a bassoonist who has performed in Australia, Kuala Lumpur AND in a hot air balloon, a competitive equestrienne, a trumpet player who is flown to L.A. every year to play at the Oscars, a conductor who has founded a burgeoning music festival in Miami, and many more fascinating and multi talented people. Come down to the pit and say hello to us next time you are enjoying a performance in the Opera House, Eisenhower or Terrace Theater!